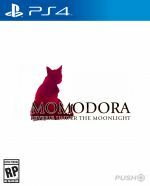 Momodora: Reverie Under the Moonlight is a 2D side-scrolling platformer that firmly plants its feet in the Metroidvania genre. Stop us if you've heard that one before. But what is a debut on consoles is actually a fourth entry in a series that dates back to 2010 on the PC, with the game in question debuting back in 2016. So a year later, does this first appearance on the PlayStation 4 manage to stand out in what is a very, very crowded genre? You play as Kaho, a priestess who originates from the village of Lun. After her settlement and the surrounding land is overcome by a curse, Kaho is handed the task of travelling to the kingdom of Karst in a plea for aid. However upon reaching her destination, the priestess finds out that the queen of Karst is actually the source of all her troubles, and to lift the curse she must kill the queen. This is very much a run-of-the-mill plot that will do little to excite, intrigue, or surprise you; it's a story in its simplest terms in that it gives the protagonist a set goal and then puts a slight twist on it, but nothing more than that. This isn't a game you should play for its narrative. Things do improve when it comes to gameplay, however, as the responsive controls help to make this side-scroller a smooth experience to both navigate and play. Kaho can be controlled using either the d-pad or the left thumbstick, a jump and a double jump are mapped to the X button, and attacks can be found on the square button with a ranged attack occurring at the press of R1. The control scheme is easy to get to grips with, and this benefit comes into play the most during combat and platforming. You'll fight a range of enemies from ghost dogs and wizards to witches and skeletons and a manner of other things. All of them have their own attacks and movement patterns which you'll have to learn upon encountering them or face almost certain death. And then there are the boss battles, which are most definitely the highlight of Momodora's engagement mechanics. These foes each bring something new and fresh to the table, whether it's a screen encompassing troll or a quick-witted sorceress. These encounters evoke the same vibes as Salt and Sanctuary did last year, and they're just as grand and foreboding here, too. The game is structured like any other typical Metroidvania title, with the 2D perspective often giving you multiple directions to explore and secrets to uncover. Progression is saved by bells that you'll come across throughout the world and these represent a sort of half-step towards the bonfires of Dark Souls. 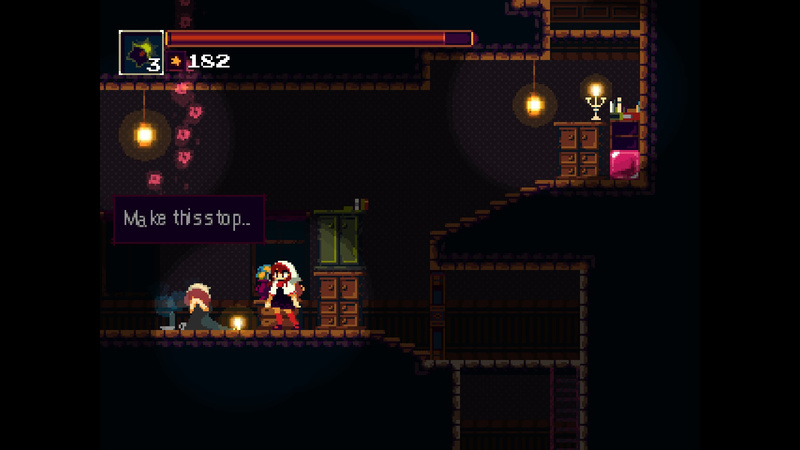 They'll re-fill your health and replenish your healing items, but enemies do not respawn upon interacting with them. Often found close to the bells are NPCs that will sell you a number of items to aid you in your quest. Using the points you collect from slain combatants, you can purchase two different types of items. Active items can be used at any time such as healing potions and buffs to your attack power, and passive items remain active throughout and can give you the ability to better track secret areas or mitigate the damage of a status ailment. They're all very useful and essential throughout your five to six hour play through. 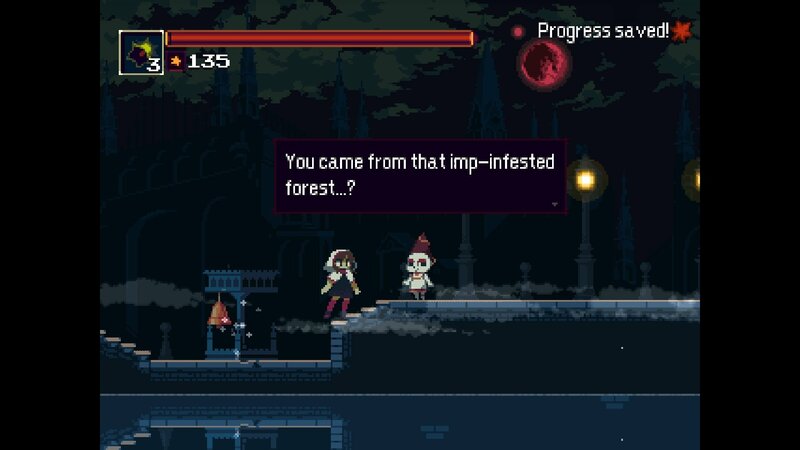 But one aspect of the Metroidvania genre that Momodora is greatly lacking in is the idea of upgrade based progression. Games of old would give you new tools and abilities which you could take back to older areas and use to access new rooms and secrets, but this concept is sorely lacking here. You'll gain an air-dash that lets you travel further mid-jump and a transforming ability that lets you circumvent tight passages, but that's about it. These abilities are merely there to aid you in getting a chest that is entirely optional, rather than being a vital mechanic that changes the way you play. What you see is what you get almost every single time. 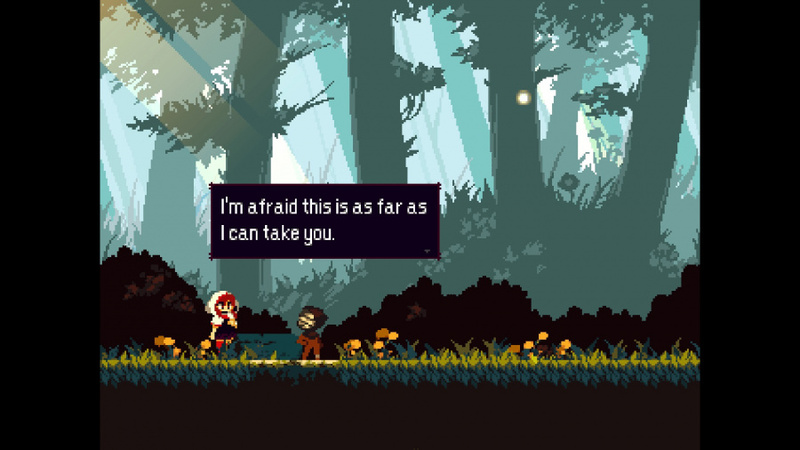 Obviously one of the most striking elements of Momodora is its visual art style which is a throwback to the 16-bit generation. This is then complemented by the different locations throughout the city of Karst you'll visit, with each new area having its own little theme. This helps to introduce a wide colour palette into the title and gives each district its own bit of personality, especially the garden. But this style of retro pixel art has been done to death over the past five years and so it doesn't impress as much as it once did. It's a characteristic that can both appeal and turn away players as it's something that mostly relies on nostalgia for a generation long gone, which is why it's a good idea not to make it the core feature of the game. Thankfully, Momodora doesn't do that. 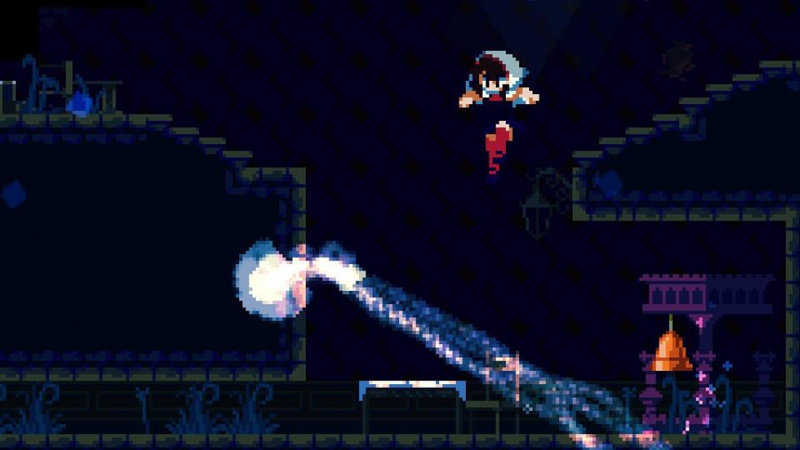 The combat and gameplay are the stars that shine brightest in Momodora: Reverie Under the Moonlight. Its twisting map will take you to a whole host of vibrant and mucky locations throughout the city of Karst, and within those places you'll encounter a number of engaging boss battles and a ton of enemy variety. Its art style can go one of two ways depending on your tastes, but the lack of upgrades is hard to overlook within a genre that holds this concept as one of its core mechanics. Metroidvania fans will find lots to enjoy here, but the wider audience will be turned off by the throwaway story and visual style that may no longer be appealing. I realize this probably sounds quite elitist, but honestly, I refuse to play games in 2017 with such graphics. Cartoony graphics would have been fine. Ah, its that castlevania symphonia of the night feeling. Was about to get it actually, but yeah just like you said, too crowd of games at this week and month. But I will get it eventually. I figured it was metroidvania by the title alone. It's kinda nice seeing the genre is still active though, as the namesakes of it aren't active right now. This is on the to buy list for sure, thanks for the review. @naruball I suppose that nowadays it's an artstyle / excuse for poor devs to have bad graphics. Sometimes it works, to be honest. Even if the graphics are bad, a fluid animation and lively world can make it look far more beautiful than it looks in mere screenshots. Oh, this game. I played it on Steam, I thought it was kinda meh. But I suppose there are worse ways to spend your money. Contrary to what most people seem to think here, I thought the graphics were one of the games' higher points, the animation is cool and the enviroments in particular look really nice. @Nickolaidas It really is nothing more than an excuse. I get what you're saying, though. I can't think of any examples, but yeah. There are some exceptions. This would be a day one boy for me if it was on Vita.